The battle to save the world is being joined by a powerful new group of warriors. Celebrities are lending their name to conservation causes, and conservation itself is growing its own stars to fight and speak for nature. 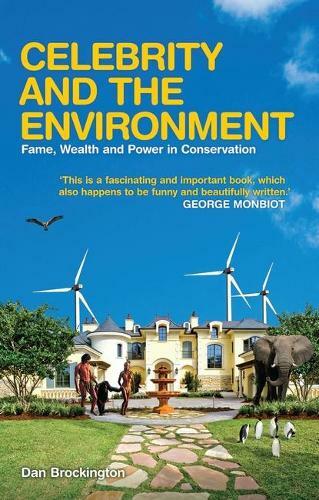 In this timely and essential book, Dan Brockington argues that this alliance grows from the mutually supportive publicity celebrity and conservation causes provide for each other, and more fundamentally, that the flourishing of celebrity and charismatic conservation is part of an ever-closer intertwining of conservation and corporate capitalism. Celebrity promotions, the investments of rich executives, and the wealthy social networks of charismatic conservationists are producing more commodified and commercial conservation strategies; conservation becomes an ever more important means of generating profit. Celebrity and the Environment provides vital critical analysis of this new phenomena and argues that, ironically, there may be a hidden cost to celebrity power to individual's relationships with the wild. The author argues that whilst wildlife television documentaries flourish, there is a significant decline in visits to national parks in many countries around the world and this is evidence that t a time when conservationists are calling for us to restore our relationships with the wild, many people are doing so simply by following the exploits of celebrity conservationists.